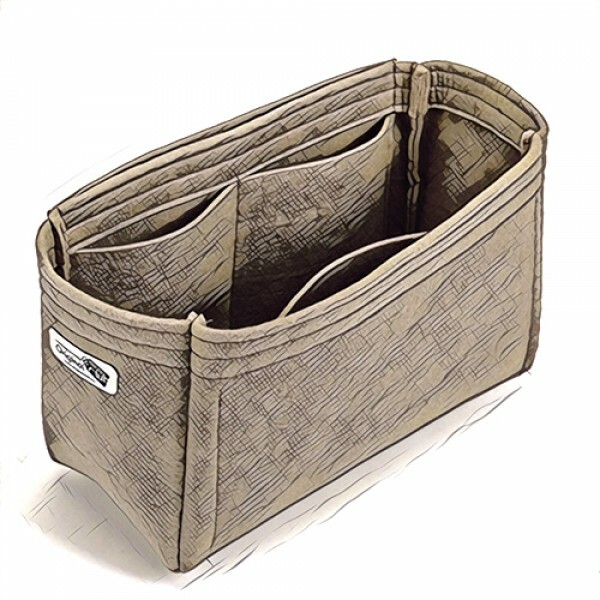 Basic style felt purse inserts, and bag organizers include no round holder, two or three pockets at one side, one long pocket at other side and one iPad / tablet pc pocket. Many women are in distress with the messiness of their purses and bags. Now you can organize your ma.. Felt purse organizer with basic style for the Louis Vuitton Tuileries Hobo handbag owners who l..
Selt of 2 Felt purse organizers with basic style for the Louis Vuitton's Pochette Metis bag. M.. Felt purse organizer with basic style for the Louis Vuitton Tournelle PM handbag owners wh.. Felt purse organizer with basic style for the Louis Vuitton Alma MM and Alma PM handbag ow.. Felt purse organizer with basic style for the Louis Vuitton Artsy owners who like to.. Felt purse organizer with basic style for the Louis Vuitton Berri MM and Berri PM handbag owners who.. Felt purse organizer with basic style for the Louis Vuitton Delightful handbag owners who like to ha.. Felt purse organizer with basic style for the Louis Vuitton Duomo Hobo handbag owners who like to ha.. Felt purse organizer with basic style for the Louis Vuitton Estrela handbag owners who lik.. Felt purse organizer with basic style for the Louis Vuitton Galliera PM handbag owners who.. Felt purse organizer with basic style for the Louis Vuitton Jersey handbag owners who like to have m.. Felt purse organizer with basic style for the Louis Vuitton Melie handbag owners who like ..